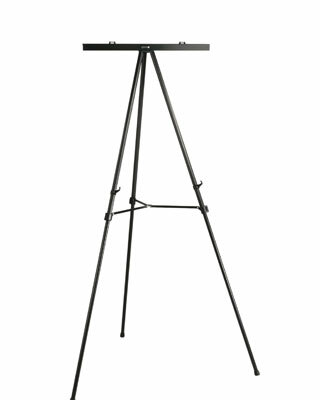 Lightweight and multi-functional, the Jumbo Presentation Easel adapts to any presentation setting. Made with slender yet sturdy anodized aluminum legs, this easel adjusts in height with a secure snap-fit clamp system for easy telescoping leg adjustment. Additional features include a removable top clamp that accommodates presentation pads and two adjustable chart supports. Also available in regular size for standard presentation materials.